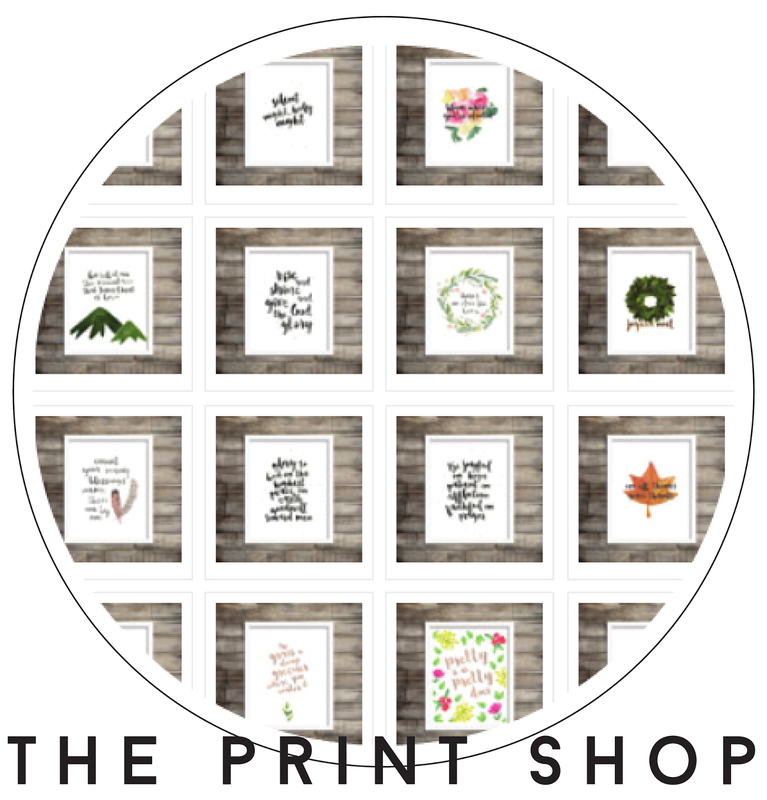 These are great! 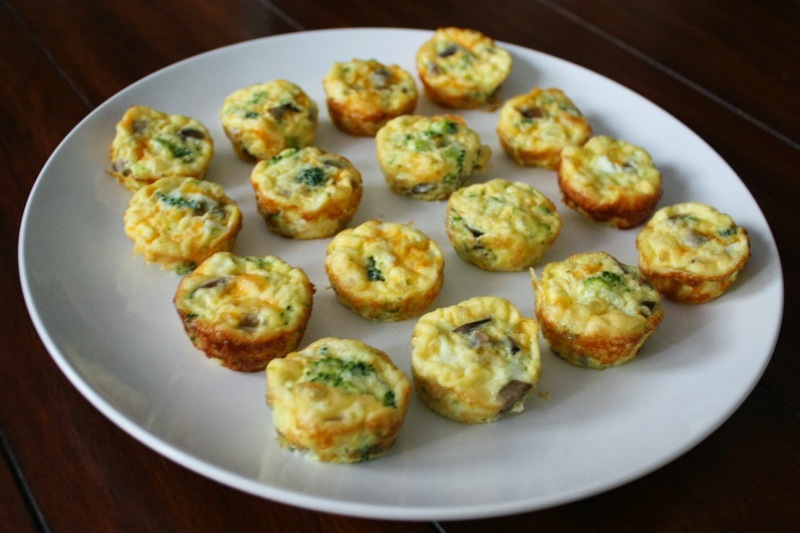 And super easy to make for finger foods, brunch, or even a toddler! Preheat the oven to 375 degrees and grease your mini muffin pan. 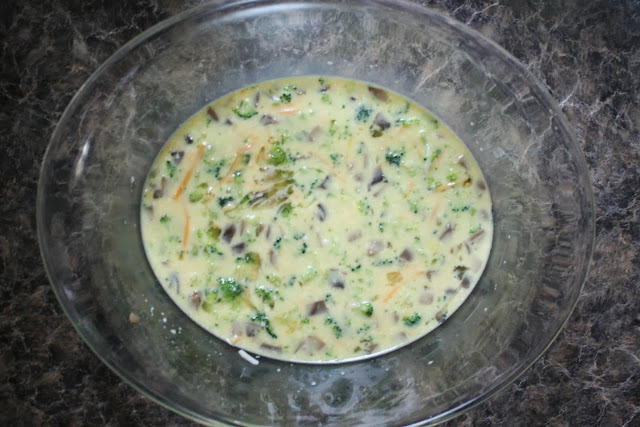 Whisk the the milk and eggs together then add all of the remaining ingredients. 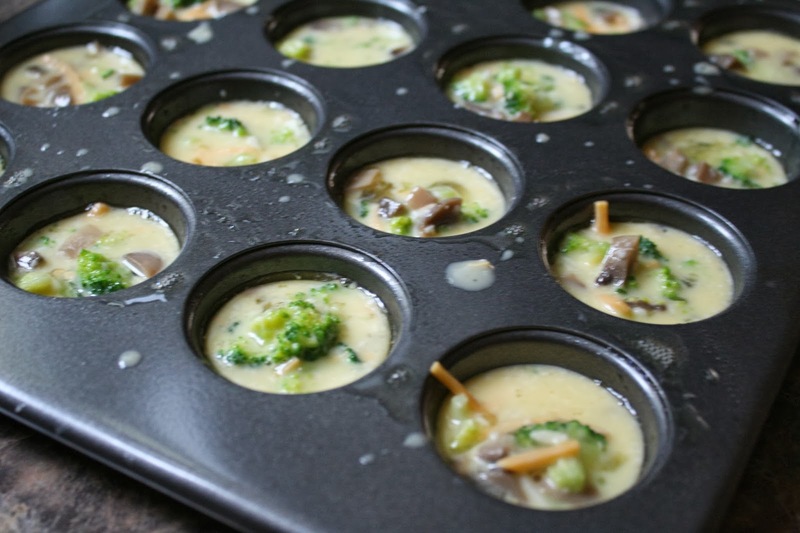 I'm using broccoli and mushrooms today. 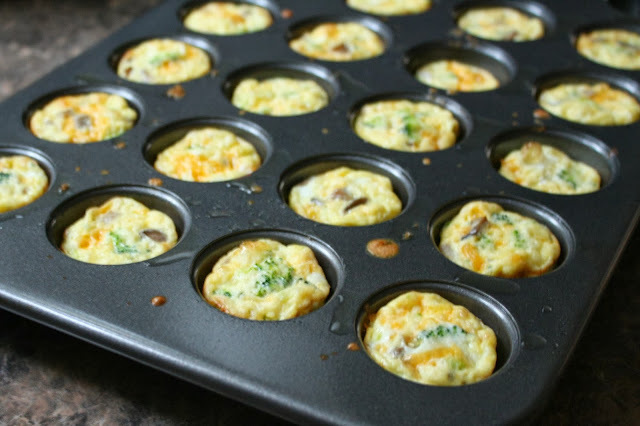 Spoon the mixture into the muffin pan. About 2/3 full. 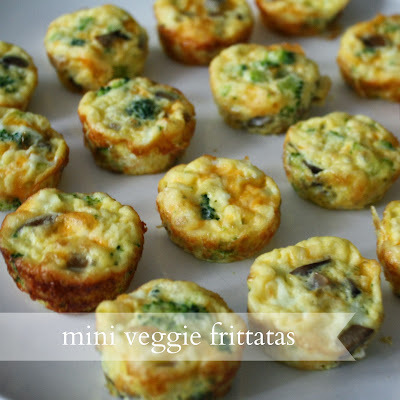 This recipe makes about 20 mini frittatas. I love the ability to change this around with different vegetables!